I would need your advice on the following points. 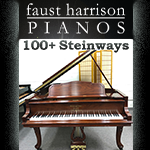 I'd like to buy a piano for my spouse, most oriented toward jazz than classical music. She quite likes the Bosendorfer sound, which triggered my search for such an instrument. At this moment, I managed to find (for about the same price) either an upright Bosendorfer 130 new or a used Bosendorfer 200, 1997 in excellent condition [40k eur]. ps: in all consideration 40k eur is the max budget we can afford. I KNOW, ANOTHER DAMN DIFFICULTY RANKING REQUEST!!! xD Was wondering if anyone had ALL of Rachmaninoff's keyboard works ranked. I've been trying to source one together but surprisingly it's been quite difficult. Anyone got any lists? My gaming rig runs whenever I am awake anyway, which is probably why the startup time (and the fact that the program does not recognize the VPC if it is turned on after starting the program) bothers me so much. Pianoteq is just instantly ready for action. Funny you should mention that. I always leave my DP (FP30) on with my "piano PC" so that's "almost" never an issue. However, when Window10 forces an update "down my throat", and my piano PC reboots by itself, for some reason I don't quite understand, my FP30 powers off. I forgot to mention that I was talking about Garritan. Pianoteq is set to omni, so it doesn't care when I activate the VPC. Dumb question: why does your piano PC get constant internet access? There doesn't seem to be a need for it if it only runs VSTi. Also, if it runs Win10 pro, you can disable the updates via group policy editor. Someone told me that it’s better to get a used super good piano (like Steinways for example) even though it’s 50-60 years old than a new out of the box Kawaii or YAMAHA. And anybody owns a Kawaii GL40 here in this forum? I need a little bit review on this piano. I can't think of a business reason to release a new VPC. Why would Kawai go to the trouble of building a new one? I officially started learning piano last week. I found a chord method book I liked that encouraged writing music as you go along in the method. My biggest accomplishment is starting and having fun with the book's exercises. The next was having fun figuring out songs by ear. It is so much easier on piano than guitar (my main instrument). I am not entirely new to piano. I am familiar with the key names and could play a few block chords in my left hand. However my right hand never felt comfortable with arpeggios and chords. This past week has made the right hand a bit more flexible and independent. My hands used to mirror each other doing whatever the other was doing. I thought I had no hope on piano but this past week of practice has shown me I can do it. My right hand is coming along and getting comfortable with playing. 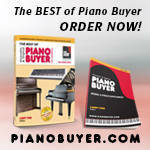 New to piano forums! I have recently obtained a 1931 Story and Clark player piano, which I would love to restore. Problem is...I have no idea where to start or where to obtain information on this model. Is it worth restoring? But seriously though. When is the VPC-2 coming? It's been six years! 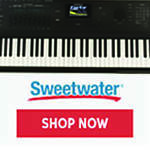 And all of the other digital Kawai pianos have been upgraded with new models already! Killing me, Kawai. Killing me. It's not a digital piano. Which could be the reason they're not upgrading it. Do you think?